MiG-35 "Fulcrum-F", originally uploaded by SaravK. 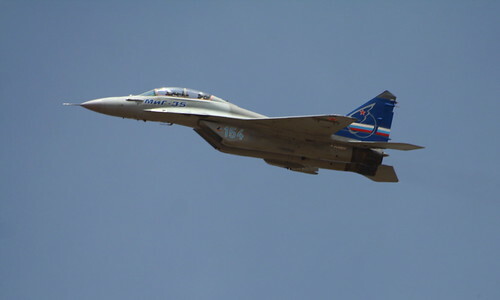 The Mikoyan MiG-35 (Russian: Микоян МиГ-35) is the production version of the latest MiG-29 with a proven thrust vectoring engine and that uses fly-by-wire technology. This was the first time ever the plane was shown off to the public.